The facility is and will be a highly interactive educational tool for the city. 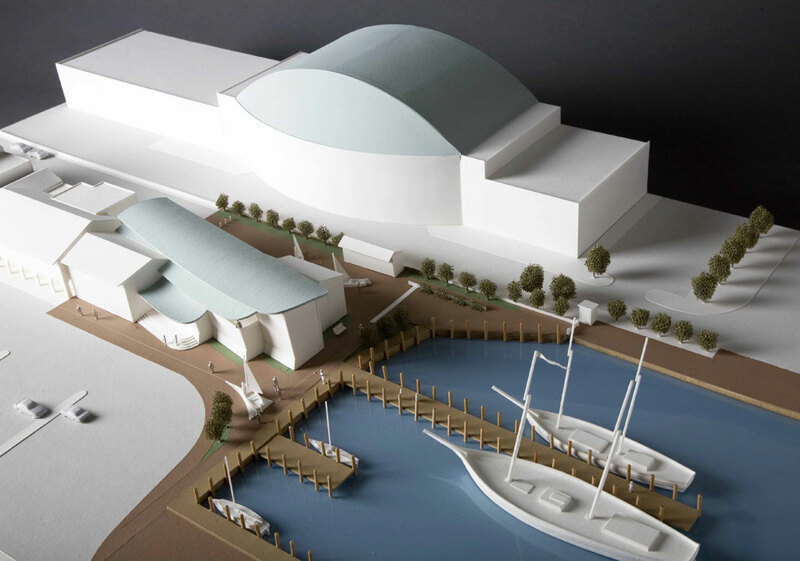 ANNAPOLIS, MD.- The National Sailing Hall of Fame & Sailing Center announced that Boggs & Partners Architect has been selected to design the National Sailing Hall of Fame & Sailing Center to be built at the foot of Prince George Street on Annapolis City Dock. The selection was made after reviewing proposals from 26 architects from around the country. The facility is and will be a highly interactive educational tool for the city, county, state and country, focusing on math and science. The building and site will include interpretive material on the history of the site and City Dock, as well as on environmental stewardship and the Chesapeake Bay. The project involves the re-use of the Burtis House, utilizing a design that will preserve the character of the downtown Historic District of Annapolis. The plans call for the new three-story building to be built up to, and including, the house, at a site chosen for its close proximity to the U.S. Naval Academy, the Annapolis business community, and to Spa Creek, making it a unique waterfront property in the United States. Initial concepts of the planned structure drew positive reviews during an Annapolis Historic Preservation Commission meetings held October 23 and November 11, attended by members of the Maryland Historical Trust, the Annapolis City Council and local residents. Joseph A. Boggs. FAIA, Lead Designer for Boggs & Partners Architects, gave local officials and preservationists a look at his early designs for the building planned for Prince George Street at City Dock. "We are a small town, a small community but this is a world-class project," Mr. Boggs said during his presentation. Mr. Boggs characterized his presentation as a, "conceptual beginning," adding that schematic designs are forthcoming. Boggs & Partners Architects, an award-winning, mid-sized architectural firm headquartered in Annapolis, Maryland, offers professional services in the fields of architecture, interiors, planning and project delivery. Boggs & Partners Architects have been responsible for the design of numerous commercial, corporate, healthcare, retail, residential and government facilities. The firm has received international acclaim for its innovative design and planning solutions. Current projects in design include: Lockheed Martin Corporate Headquarters Renovation, Bethesda, Maryland; The Middle East Institute Headquarters, Washington, D.C.; and, the new 51-story Hyatt Regency Hotel in Doha, Qatar. Significant projects recently completed by the firm include: the American Speech Language Hearing Association Headquarters at Corporate Boulevard in Rockville, Maryland; Sallie Maes New Headquarters at the Reston Town Center in Reston, Virginia; The Smithsonian Institution National Museum of American History Renovation, Washington, D.C.; GSA Federal Office Building No. 8 (Former FDA Headquarters), Washington, D.C.; the American Urological Associations Headquarters in Linthicum, Maryland; and, the Commodore Uriah P. Levy Center and Jewish Chapel at the U.S. Naval Academy, Annapolis, Maryland. Joseph A. Boggs, FAIA, is the president and design leader for the firm that bears his name. Through his work in the mid-Atlantic region and abroad, Mr. Boggs has developed a reputation for artistic originality and design excellence in architecture. His 36-year career spans the commercial office, retail, institutional, interiors and residential arenas. Mr. Boggs has won numerous state and national awards and has been published in national and international publications, as well as being elected to the College of Fellows of the American Institute of Architects in 1995. The continual evolution and derivation of contemporary forms throughout his design career is evident in the built work, which numbers over 75 completed projects of different types. His ability to adapt to the scale and programmatic changes that different projects require results in work which is very solid in its approach and execution. Examples of this adaptability are evident in the design of the Wolf Trap Filene Center II in Virginia; and, the World Headquarters for the Machinists and Aerospace Workers Union in Maryland. These notable achievements represent a growing, developing body of work that continues to intrigue, to be expressive and to promote design in our profession as a public experience.